Here is an instagram from my account from a year ago this week. RD and I were waiting for her brother during a Lego thing at the Library. We hung out in front because she was not old enough to build with the big kids so she danced and played instead. And, one from this week... RD on her first day of preschool! I really think her favorite thing on her first day was discovering the bathroom was made for kids and she can see herself in the mirror. She went to bathroom at least three times in the hour we were there. 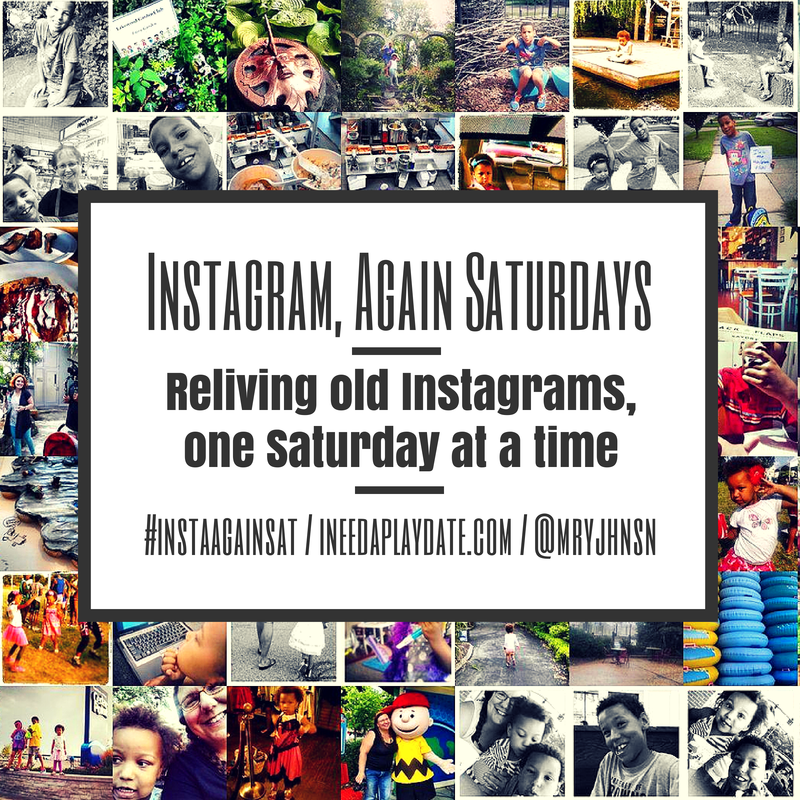 Have an instagram to share again - tag with #instaagainsat or share a link below. I promise to like and follow.